Obvious differences in product offerings aside, Apple and Tesla Motors have a lot in common. They’re both quirky, trendy,and often misunderstood. Apple, however, has managed to transform from a scrappy startup to a multi-billion dollar company, and Tesla is still struggling. Lucky for Tesla, then, that it snagged George Blankenship as its vice president of design and store development. 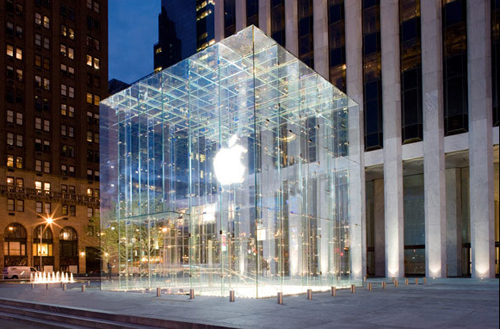 Blankenship previously spent nine years working with Apple to amp up its retail strategy. Before that, he opened hundreds of stores each year for the GAP. The retail guru wants to do the same thing for Tesla. Whereas traditional auto dealerships are often in mammoth buildings that are set apart from retail districts, Blankenship hopes to put Tesla showrooms right in the thick of popular shopping locations. But Tesla has a unique challenge: While consumers weren’t that excited about Apple when Blankenship came on board, Tesla practically has more hype than it can handle. The challenge is to make potential customers understand what Tesla is about. And that requires a comprehensive customer experience strategy. “We want to figure out the best, most comfortable way to create an environment where people aren’t just looking at the car–they see how it’s part of their future,” Blankenship says. It won’t be easy. Tesla only has one commercially available vehicle (the Roadster), and the Model S sedan–Tesla’s more affordable option– won’t go on sale until 2012. Apple may not have always been universally liked, but it could at least claim to have more than two products on the market.